The Golden Triangle BID provides a Gold Standard of service. 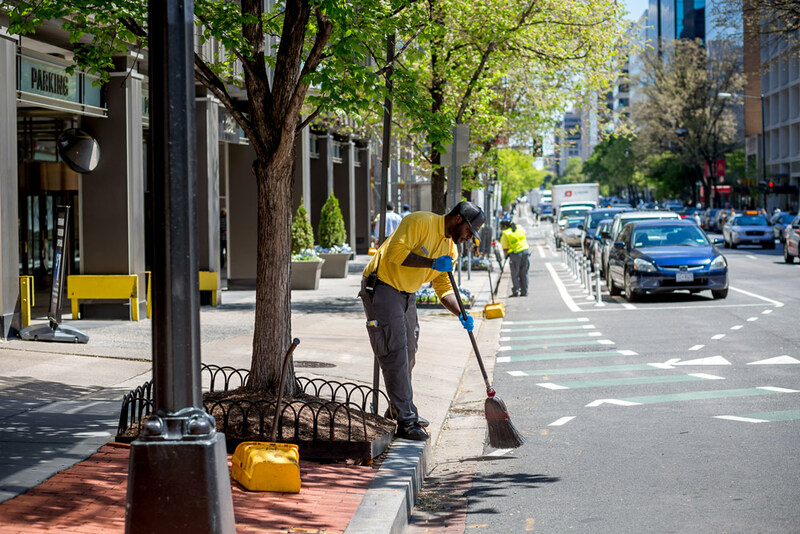 The Golden Triangle BID’s primary operations include the Ambassador program, clean street initiatives, and landscaping efforts. 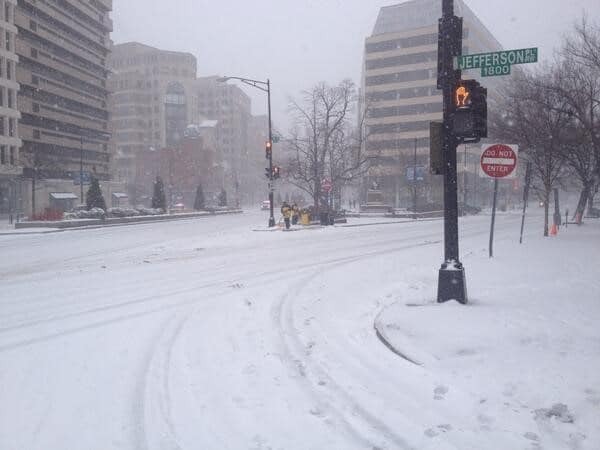 These result in a beautiful and safe neighborhood year-round. 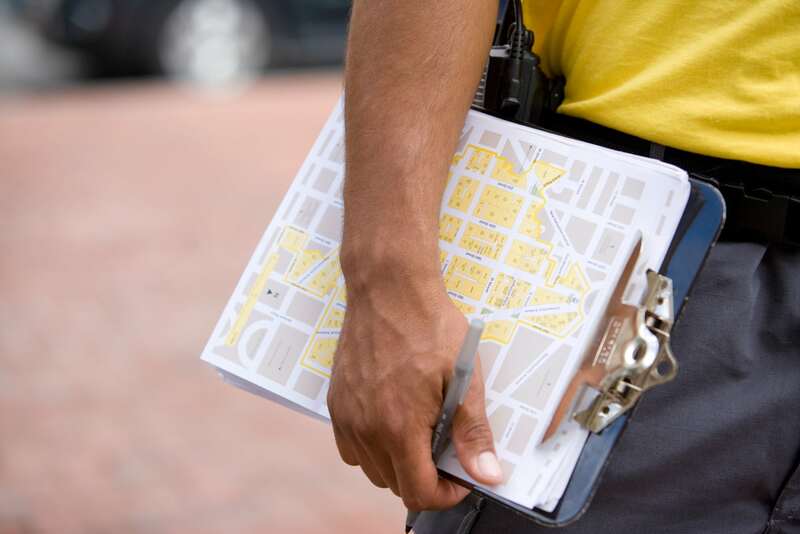 The BID’s work is complemented by partnerships with building owners and city agencies. The Golden Triangle BID delivers enhanced maintenance services through the hard work of Golden Triangle Ambassadors. 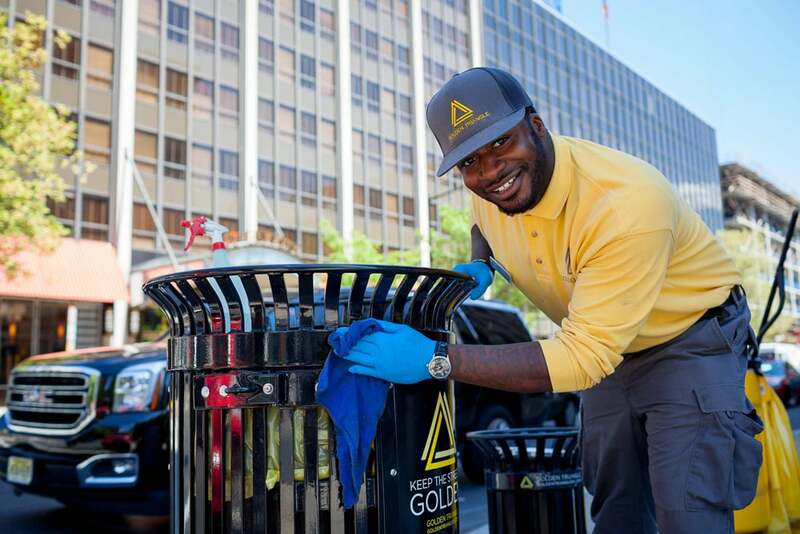 With more than 85,000 area workers and thousands of visitors a day, the Golden Triangle Ambassadors are busy cleaning the neighborhood’s public spaces, parks, and street amenities. 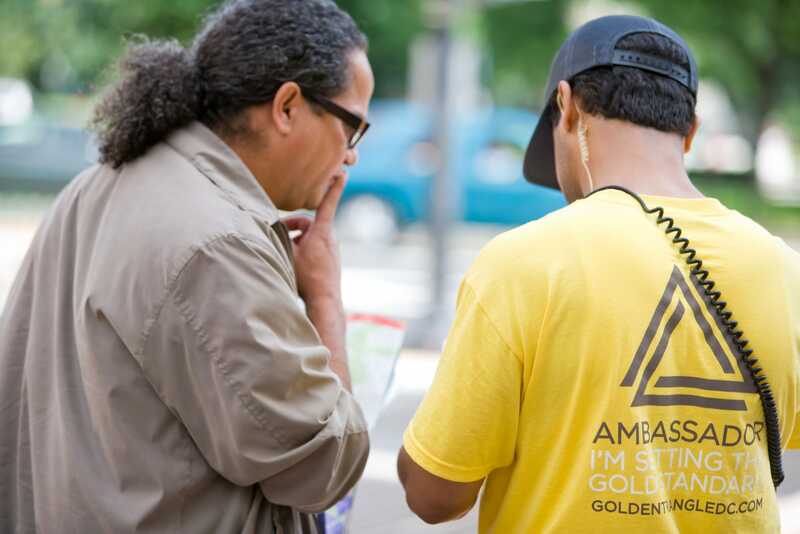 This team of Ambassadors welcomes visitors, creates a sense of safety, and keeps neighborhood streets clean and golden. 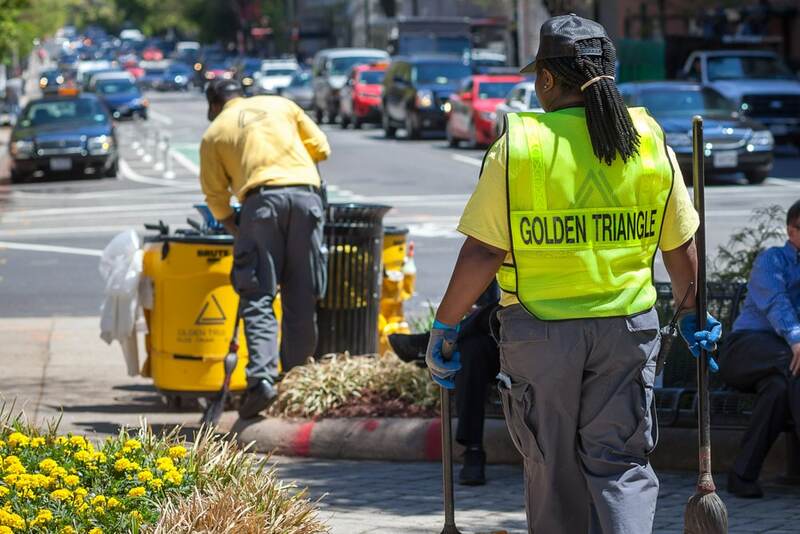 The Golden Triangle BID works to make the neighborhood a clean and attractive place for area workers, residents, and visitors. 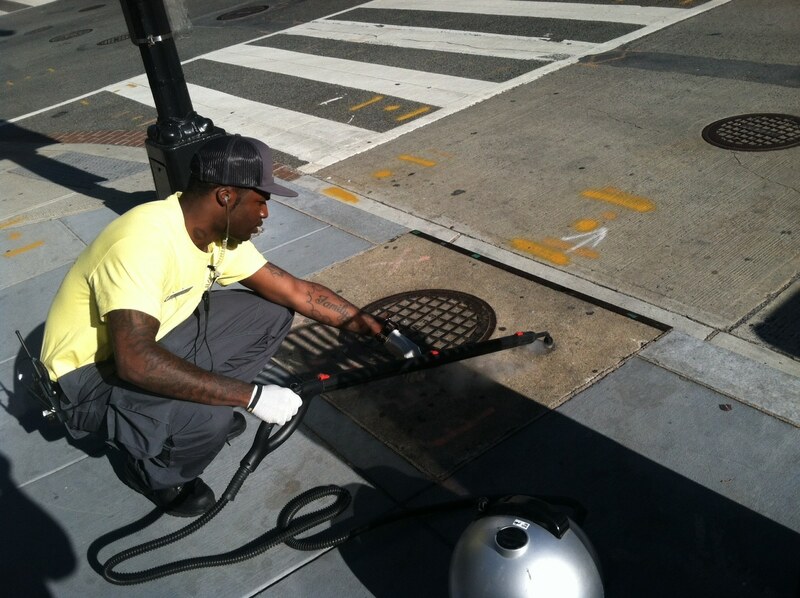 Its clean streets program provides specialized services, which contribute to the neighborhood’s quality of life and economic success. 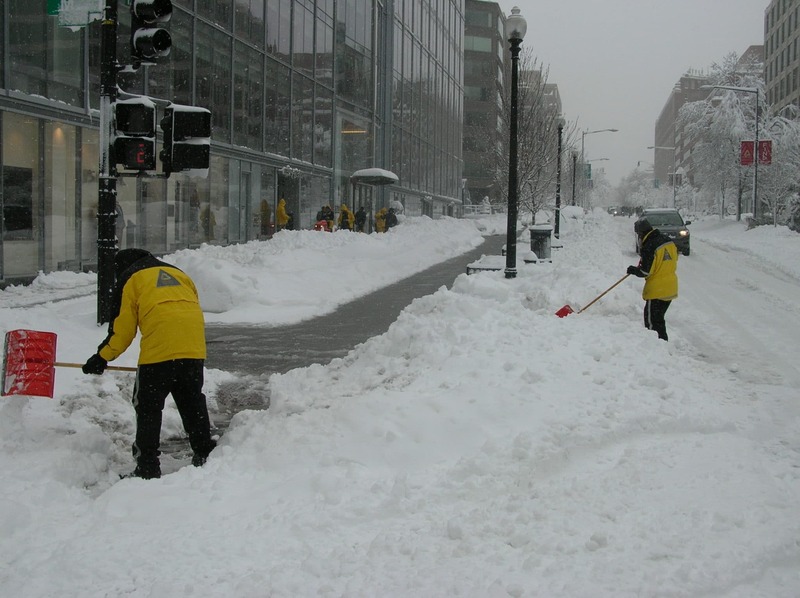 The BID partners with government agencies and utility companies to ensure the public space is appropriately maintained. The BID also provides a full range of maintenance and landscape services for all seven of the parks in the neighborhood. The Golden Triangle also works with building owners to install additional bike racks and newspaper corrals. On an as-needed basis, the Golden Triangle also manages its stock of more than 130 garbage and recycling cans to refurbish or replace cans. As the Golden Triangle improves the public space throughout the neighborhood, through its various initiatives and planning efforts, it takes on the responsibility of maintaining these projects. 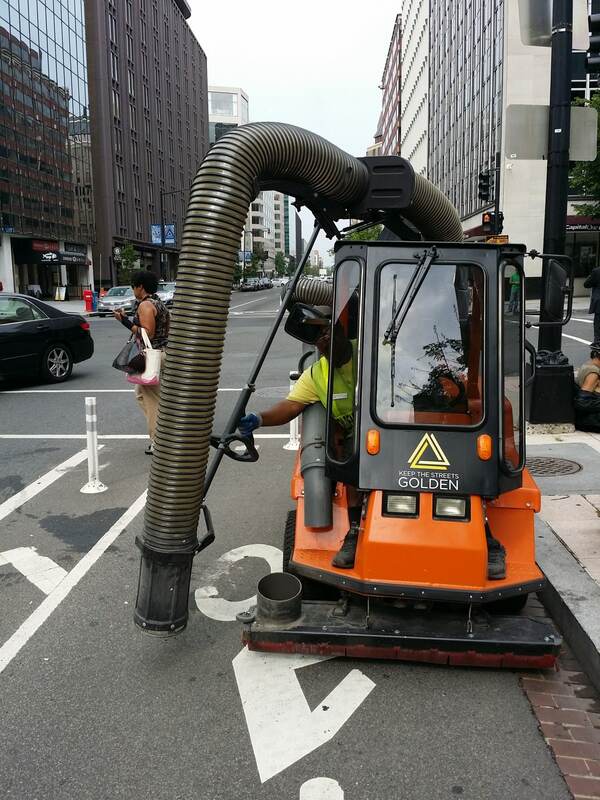 This includes public art installments and landscaping efforts like Art on Call, rain gardens, the Connecticut Avenue Median, Duke Ellington Park, and more. 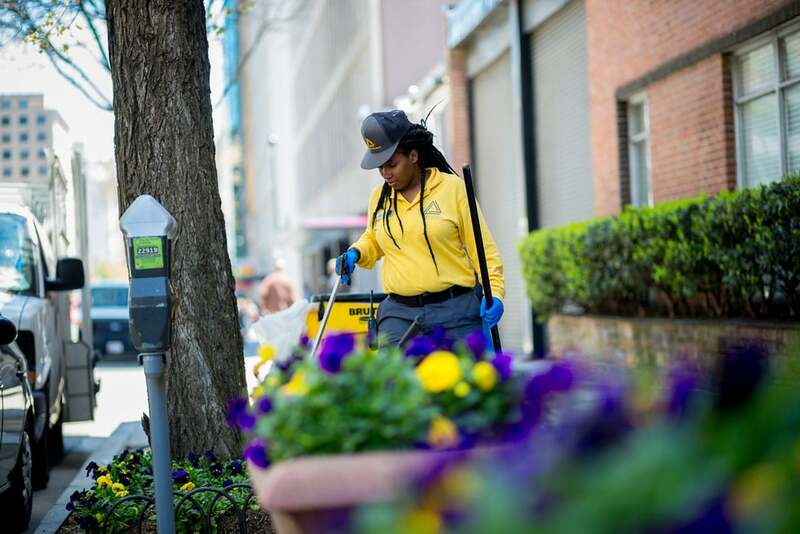 The Golden Triangle BID devotes many hours beautifying the neighborhood, including maintaining parks, painting light poles, emptying trash cans, and watering plants. 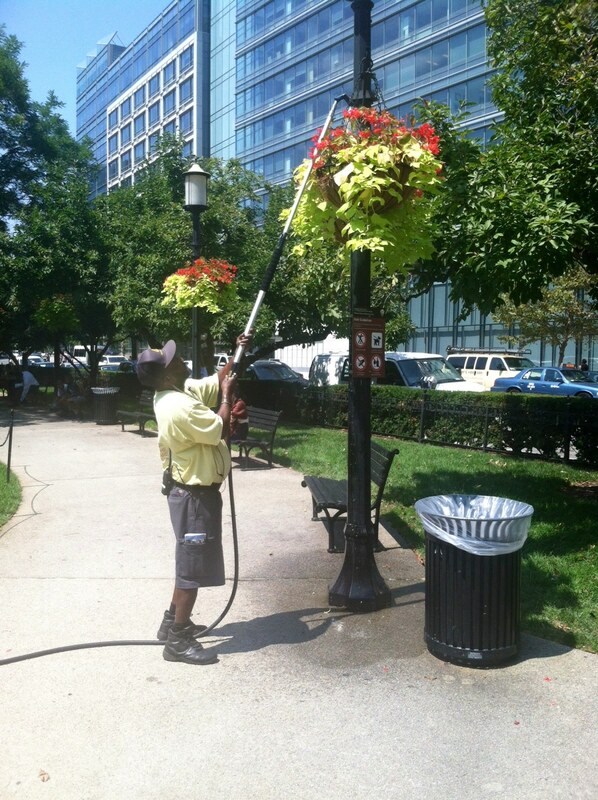 Each spring, the Golden Triangle adds color to the streets by hanging flower baskets in Farragut Park and Murrow Park. 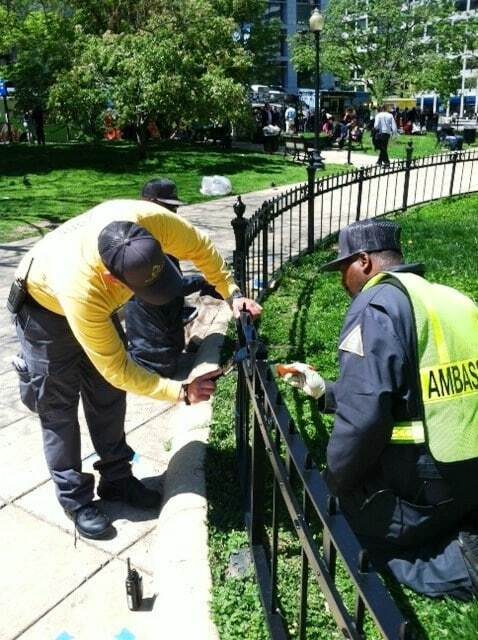 Approximately 600 marigolds and pansies are planted in Duke Ellington Park on New Hampshire Avenue, and the rain gardens along 19th Street and M Street are weeded, mulched, and trimmed. The Connecticut Avenue Median is planted throughout the year with seasonally-themed flowers and greenery, making a powerful statement alongside the light art. More than 19,000 annuals and perennials are planted throughout the BID each year, including 36 hanging flower baskets in various parks. Additionally, the streets of the Golden Triangle burst with yellow when building owners plant thousands of golden flowers each spring and fall in the tree gardens outside their buildings. The stunning flowers geographically brand the BID’s streets, while adding unmistakable flare.